Florida’s Port Everglades set a record for containerized cargo volumes for fiscal 2017 ending Sept. 30, reporting 1,076,893 TEUs, the standard 20-foot-equivalent container units, a 4% increase from fiscal 2016. 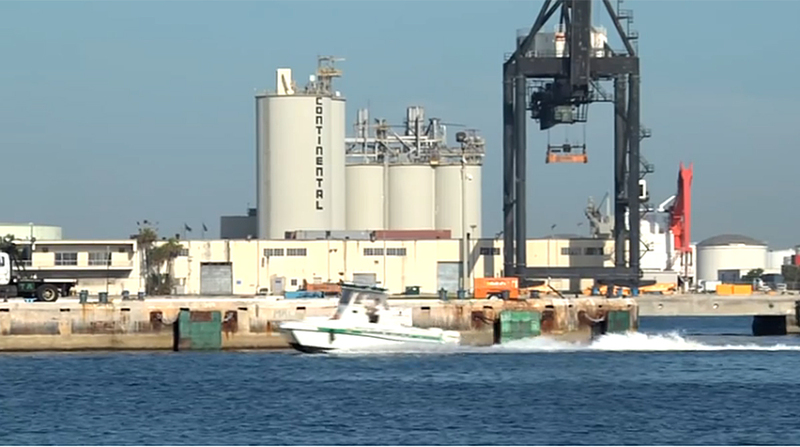 The previous record for the Broward County port was 1,060,507 TEUs in fiscal 2015. Operating revenue for fiscal 2017 was $163 million. The port generates $30 billion in total economic activity while almost 13,000 people work for firms that provide direct services to the facility. Port Everglades saw a 1% increase in cruise and ferry passengers to nearly 3.9 million passengers as Royal Caribbean and Holland America Line added new cruise ships to the port’s fleet. Petroleum volumes rose 1% to 122.3 million barrels. The Port of Jacksonville, Fla., known as Jaxport, cracked the 1 million-TEU mark for the fiscal 2017, also ending Sept. 30. Jaxport, which ranks No. 16 in North America ports in volume, handled 1.3 million container units through public and private terminals. Jaxport is the origination point where Crowley Maritime, Tote Maritime and Trailer Bridge barges haul cargo to Puerto Rico.